Summer is an exciting time for kids, but a big concern for parents and educators alike is the three-month lapse in learning that often accompanies those school-free months. At the Crissy Field Center, we recognize the need to produce a day-camp experience that stimulates and captivates each camper, while presenting tangible and effective learning opportunities for children. Our educators and camp counselors strive to bridge the gap between fun and learning in our two- week camps by creating an experience that enriches the minds of our participants through interactive education. Crissy Field Center camps interweave exciting children’s play and games with concepts from Science, Technology, Engineering, and Mathematics (STEM); art; English; and history. This summer, we’re also incorporating a new Health and Wellness segment. Our camp coordinator, Rene Tucker, who holds a degree in recreational studies, has created an internship for high school students that will teach the significance of the national parks and environment through hands-on activities with the campers. 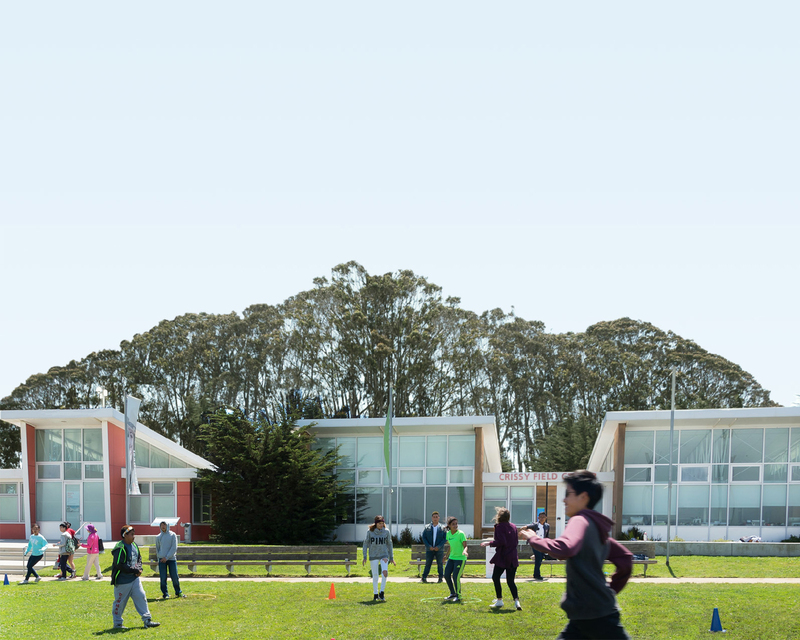 Interns will help create a fun, spirited, and safe learning atmosphere for participants—while also facilitating games that teach about the environment, ecology, and history of Crissy Field and the Presidio. They will also be developing a physical challenge each session for the camp participants and assist in creating a menu of healthy snacks for all campers. Rene hopes that this program will train a new generation of park stewards to become passionate about using the parks as a path to health and wellness. Everyone at the Crissy Field Center is excited to begin camp in a couple of weeks. We hope you’ll be joining us! To register your child for a camp, please visit www.crissyfieldcenter.org/camp. Financial assistance is available.